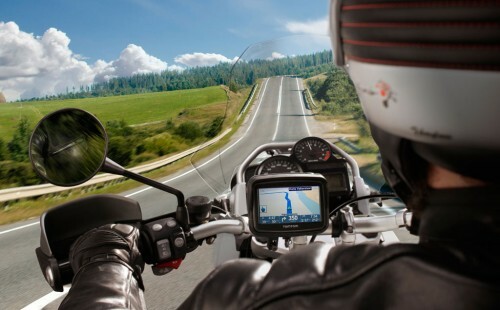 TomTom is introducing a new version of its Rider navigation device for motorcyclists. The new TomTom Rider features a 4.3-inch screen with variable color options to allow for better visibility in changing lighting conditions. The touch screen is waterproof and can be operated even with gloves. 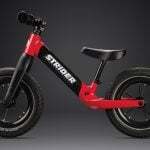 Bluetooth technology allows the Rider to send directions to headsets or share routes with other riders. The Rider comes with a universal vibration-proof mount from RAM that should attach to most motorcycles. 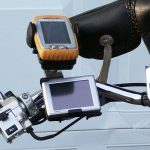 The TomTom Rider also comes with a charging dock that connects to a motorcycle’s power supply, and the device can power on or off along with the ignition. The device can find optimum routes for the shortest travel times, and for those looking for a more exciting ride, the TomTom Rider can also select routes that offer more curves. 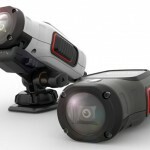 The TomTom Rider retails for $299 which includes at least four free map updates per year for the life of the device.